Ananth is a Management Graduate in Business Administration. 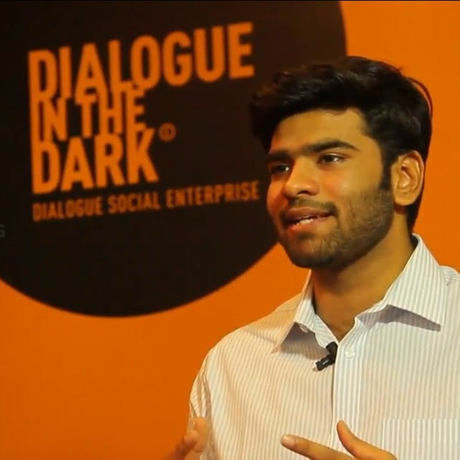 He heads the Relationship & Social Impact initiative of Dialogue in the Dark - India. He is primarily responsible for the social impact created in the corporate sector through interventions in the form of experiential events/workshops and he drives the sales & marketing aspect of Dialogue in the Dark in the country. SPI Cinemas is a leading player in the entertainment industry offering services such as exhibition, distribution and production. SPI Cinemas strives to be at the forefront of media technology and endeavours to bring new entertainment technology to customers first. AtWorks is committed to encouraging entrepreneur and business success in Chennai through innovation and creativity. We operate an open ecosystem that offers comprehensive and cohesive access to infrastructure, events and communities, to curated thematic accelerator programs backed by corporates, funds, and institutions for startups; providing them ever-expanding opportunities to scale and grow. We are proud to support CreativeMornings to celebrate the success of creativity in Namma Chennai. What is the event like? CreativeMornings is about community and inspiration. Come for both! Registration will begin at 8:30am, and we’ll have coffee and breakfast ready for you. Coffee time is great for meeting the other CreativeMornings attendees. The talk will start at 10:40am followed by Q&A. There is abundant paid parking in the Express Avenue Mall. This Month’s Theme: This month’s theme is Inclusive, chosen by our CreativeMornings/Grand Rapids chapter, illustrated by Libby VanderPloeg, and presented by Wordpress.com. In line with the theme for this month, Inclusive, this event is going to be an interactive experience for our audience, where for a short while they are immersed into the world of those who are visually impaired, wherein the entire event is experienced in total darkness - Right from speaker introduction to talk. Dialogue in the Dark has been a powerful platform to enable the mindset shift towards inclusion of the disabled & appreciating their abilities across the country since the time of its inception. Note : This session might not be ideal for persons with issues of darkness or claustrophobia.